Let's face it, if you threaten me with a good time, I'm in! When I was invited to attend Grammy Award Winner Chrisette Michele's Pose N Post Symposium Tour at the Columbia, SC leg of the tour on April 12th, I was elated! The flower child in me really identifies with the flower child in Chrisette Michele. One stop by her website that has mentions of fairy notes, a love for pizza, and simple delights in buttermilk pancakes and she'll be a best friend in your head in a second. The Pose N Post Symposium Tour is all about social media marketing. I'm a firm believer in the power of social media so I can't wait to attend to connect with other amazing social media mavens. With that being said, you know I couldn't leave you without a few tips on how to grow your presence on social media by attending events. Check them out below and if you'll be in attendance let me know in the comments, I'd love to connect. If you'd like to attend purchase your tickets here. The most fun thing about attending any event is networking. Networking does not have to be this big scary word. I just like to think of it as connecting with other like-minded individuals. If you can, try to connect early with those throwing or attending the event. That way you can find out if you'll have access to securing interviews or connecting with brands. Attending an event puts you in a prized position. You instantly become an insider and those who cannot attend will live vicariously through you. Make sure to find about about any hashtags associated with the event so that you can share photos, tips, and behind the scenes sneak peeks. Your audience will love you for it and you'll probably gain new fans and followers. First impressions are everything. Be sure to dress for the event. Wear something that you are comfortable in, but something that you feel special in. Confidence is key. When you look good you feel good. Also, be sure to find a fun way to provide others with your contact information. Anything from business cards to treat bags will do! This is a great way to showcase your brand. I'm sure you've heard about elevator speeches and you will definitely need one. Come up with a concise way to express what you do and the value you provide in three sentences or less. This will help others to easily connect with you and to identify immediately if there may be future opportunities to work together. What do you call yourself? 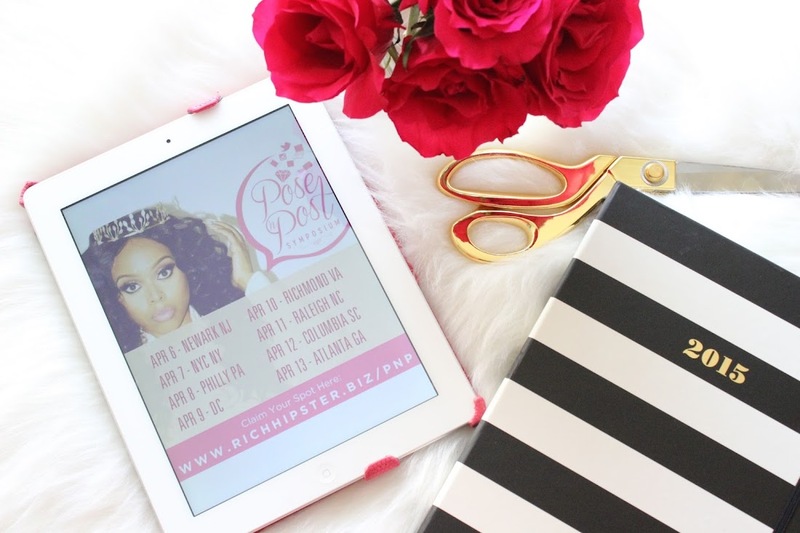 Are you a lifestyle blogger, social media strategist, or stylist? Get really clear and really specific about your title. This is something that you will cover in your elevator speech. Come up with something that stands out. To come up with something creative, think about what audience you work with and what your niche is. What burning social media questions do you have?